Baptism marks the beginning of our lifelong journey as disciples of Jesus Christ. Through Baptism, we are joined with God, Christ’s universal church, and our local congregation. The water in Baptism conveys God’s saving grace, the forgiveness of our sins, and new life in Jesus Christ. Persons of any age may be Baptized—infants, children, youth, and adults. A person receives the sacrament of Baptism only once in his or her life. 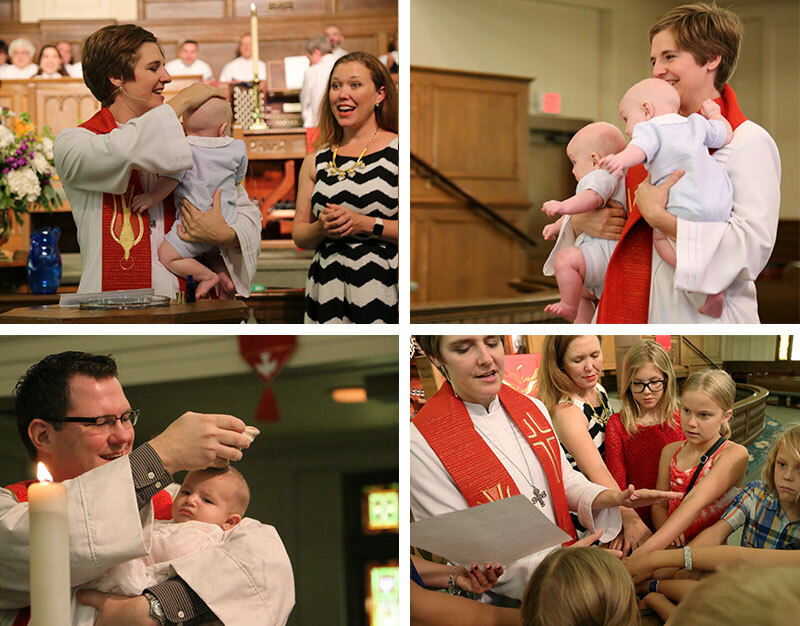 FUMC offers a Baptism class twice per year for parents who would like to have their infant or child welcomed into our congregation by this holy sacrament. Persons seeking Baptism for their children must attend this class, led by the Reverend Taylor Fuerst and Director of Children’s Ministries Lara Greene, in which the rich meaning of Baptism is carefully explained–what God promises to us in this sacrament and what we promise to God. Families will also be able to connect with others in our church who have young children during this class. Sunday, September 30, 2018 at 12:15 p.m.
Come learn our beliefs about Baptism, logistical information about scheduling and service preparation, and ways to help your child live the Baptized life. This class is required for those preparing for Baptism, and only offered twice each year. To register, indicate your interest on the Connections Card in worship or register at fumcaustin.org/baptismclass. For questions regarding child Baptism, contact Lara Greene at children@fumcaustin.org. If you are interested in adult baptism, contact Pastor Taylor directly at taylor@fumcaustin.org.